This wonderfully creepy old chiller is in the public domain and consequently easily found on DVD in just about any bargain bin. If you've never seen it - you really should. It's just a good movie. George Romero and his regular crew - including makeup whiz Tom Savini - team up with Stephen King for a five story anthology film tribute to the old EC comics? Definitely a fave of mine - and one I certainly recommend! If you've never heard Orson Welle's and the Mercury Theater's famous Halloween radio play of War of the Worlds - which panicked a great portion of listeners the night it aired - here's your chance - at almost an hour it's the longest clip I've ever posted - but it's a fun listen. No one seems to like this movie - except maybe just me. 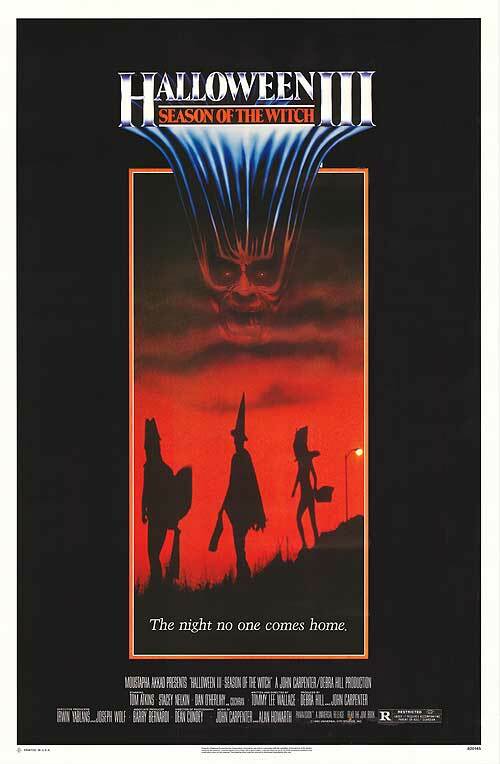 But the same people who complain about this movie also take the later Halloween sequels to task for bringing Michael Myers back too many times. So which is it? And that said, I like this goofy horror movie that tries to do something different that the usual stalk and slash maniac with knife movies that were popping up everywhere at the time. I was planning to watch the recent remake of The Wolfman, but time ran out and the last trick or treaters came while Vincent and Boris were still battling, so The Raven brought my month-long Halloween Horrorfest to a close. Not a bad way to go out, I must say. 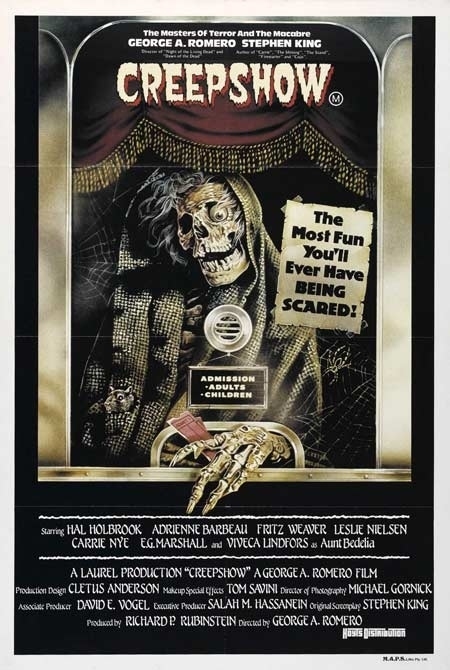 Tales from the Crypt: "The Switch"
Masters of Horror: "Sick Girl"
Tales from the Crypt: "Cutting Cards"
and several episodes of Freddy's Nightmares! 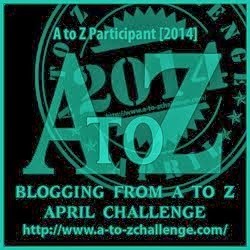 And that wraps up October, and the 2011 Halloween Blogfest Blowout! But we're not done with daily posts - no sir! 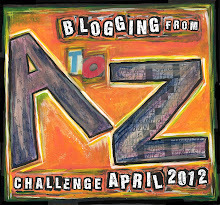 Tomorrow LGOOH starts participating in November's Nine Days of the Ninja Blogfest - thanks to Blog Pal Steve Miller and his cadre of wonderful pop culture blogs! See you then, and until then - you Can Poke Me With A Fork, Cause I Am Outta Here! Oooo, kiddies! It's time for another scary script excerpt from a screenplay written by yours truly! I wrote this in 2002 and 2003, trying to finish it for the 25th anniversary of the first movie's release. I got it written by then, but not produced and on theater screens. I think an aspect of the first few pages of this script have actually worked against me - the opening sequence is supposed to be a schlocky movie version of the opening minutes of John Carpenter's classic - in other words, what if the story of Michael Myers was real, but when filmed it was by filmmakers much less talented than the people who made the real Halloween in 1978? So, the dialogue in these scenes is supposed to be a poorly written reflection of the real movie's lines. I fear that some may have started reading this and thought this was my real dialogue - then closed the script as it was obvious I couldn't write for crap? So - I think if I send this out again it will have a post-it on the first page explaining this. A sinister jack-o-lantern grins from the porch of this modest midwestern home. Whoever has been staring at it would seem to be fairly short as he turns away and walks over to a side window. Inside, a teenage girl dressed in rather theatrical 1960’s era clothes sits on a couch and giggles as a teenage boy dressed in the same theatrical style nuzzles her neck. JUDITH playfully pushes JOHN away. Stop! Michael’s around here somewhere. He is only six years old. He might see us and be upset. John grabs up a clown mask lying nearby and puts it over his face as renews his assault on Judith. She can’t help but giggle as she pushes him away again. All right. Yes. That sounds good. She grabs him by the hand and they run for the stairs. The watcher waits a moment at the window, then steps back and looks up. The light in the upstairs window winks out, and there is a MUSICAL STING underscoring it. The watcher turns and walks toward a back door. He steps inside, and looks quickly around the semi-dark kitchen. He makes his way over to a drawer and opens it. 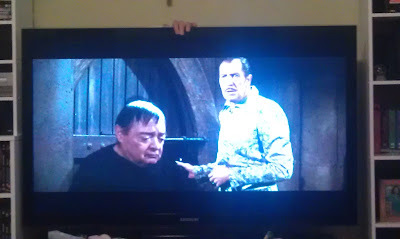 His hand reaches inside and pulls out an almost ridiculously large butcher knife. The watcher walks with it through a connecting door to the living room. After crossing the living room, the watcher finds the clown mask lying in the doorway to the hallway where the stairs are. As he bends down to pick it up, he pulls back around the corner of the door and peers carefully around it. John bounds down the stairs, pulling his shirt on. He pauses and looks back up the stairs. I’m sorry, I’ll try to last longer next time. I’ll call you on the telephone. John pounds down the last couple of stairs and out the front door. As soon as it is closed, the watcher starts for the stairs. He slips the mask on, and the POV is now through the mask’s eyeholes as he climbs the stairs. At the top of the stairs, the watcher unerringly walks into one of the bedrooms. Inside the room, Judith sits at a dressing table, brushing her hair and humming to herself. She finally notices that someone has come into her room and turns to see who it is. Michael? Is that you, you little scamp? Suddenly, the watcher raises the knife high over his head and whips it down. Judith’s head fairly well leaps from her shoulders, gouts of blood spraying the room. Suddenly we cut out of the film as an audience comprised mostly of teenagers screams at the decapitation they just witnessed. Behind the crowd stand two men, both middle aged, in suits, and smarmed to perfection. They are the film’s producers, LEE CUSHING and PRICE CARRADINE. They smile knowingly at each other. Cushing leans in close to Carradine. He didn’t really cut off her head, you know. scream, so what the hell? picture in the editing room is we need to. The crowd screams yet again. The line waiting to get into the movie is around the block. 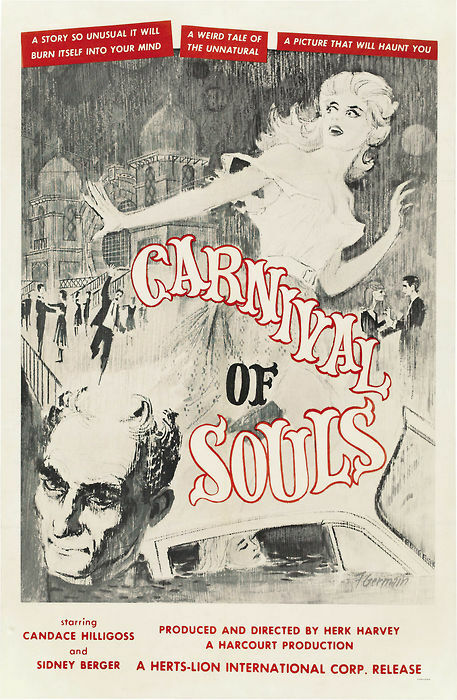 Lee Cushing and Price Carradine are near enough to the entrance to be spotted as they grin and grin at the crowd buying tickets. The auditorium is packed. Onscreen, a young woman sits in a doorway, spent and tired. The onscreen character is LAURIE STRODE (MOVIE). The shot is wide, and allows the audience to see what she doesn’t. A tall, imposing figure in coveralls and a white mask sits up on the other side of the room. The crowd in the theater reacts to this audibly. The crowd’s tension mounts as behind Laurie the figure stands and begins to shuffle toward her. She stands, taking the tension level to an all time high. The masked figure reaches out for her..
We cut away from the scream and to the audience as they walk the knife edge of terror, finally releasing it in another shattering scream in unison. Cushing and Carradine stand outside the theater doors and react visibly each time there’s a scream from inside. 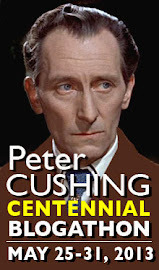 Cushing nods at the auditorium door. Michael Myers is in there right now? Yeah. Didn’t you hire him? I thought you’d changed your mind. Cushing starts to walk away. Stay put. I’m getting the manager. Cushing and Carradine enter, followed closely by a nervous THEATER MANAGER. They walk down the aisle, Cushing in the lead. He gestures to a seat a few rows away. No one sits there, but there is a figure slumped in the seat in front of the empty one. The tension builds as the trio comes to a stop by the seat in question. Cushing starts to reach for the slumped figure, but Carradine stops him. Hang on, it’s almost over. Onscreen, the young woman playing Laurie turns to an older actor - a very miscast George Hamilton type - playing DR. LOOMIS. Was that the boogeyman, or something? Laurie screams a bone shattering shriek as the screen fades to black and the credits start. In the theater, the lights come up slightly as the crowd gets up almost in unison to go. Cushing and Carradine hide their fears as they nod and grin at the departing audience members. After most of the crowd has dispersed, Carradine nods to the slumped figure. ...and the man snaps awake, the last bit of a snore ripping out of his mouth. Cushing and Carradine sigh hugely, then turn to each other as the man rises to leave. The two producers whirl to the man. After this opening, we meet Jennilee Bennett - the young actress who was playing Laurie Strode in that movie we were seeing bits of. She heads home to rural North Carolina for a visit with her mother and father and some friends. The Bennetts live in a big walled compound - within its walls are the Bennett home; the home of Jennilee's paternal grandmother, recently deceased; the house of Jennilee's Great Aunt Judy, a crabby old jackwagon who lives to cause trouble; and a trailer for the compound maintenance man, Lou. Across the next week, while we get to know Jennilee and her friends, they begin planning a big Halloween party to be held on the grounds of the compound on Halloween night. Jennilee's parents are going to be away, and they just need to duck Lou and Aunt Judy to have some real fun. While the party preparations are underway, Jennilee is unnerved when she starts to see images of Michael Myers nearby, watching her. Shaken, she retreats into the compound walls, confident in the security of the twelve foot wall around the place. She'd be less secure if she saw what happened to Lou as he patrolled the perimeter - he finds a tree cut down and propped against the wall, giving anyone easy access to the compound. As Lou starts to call the sheriff, Michael Myers appears and gives Lou a personal lesson in how he chopped that tree down. Lou is no more. Later, Jennilee spends some time in her Grandmother's house, reminiscing. She leaves to see her parents off on their trip, and forgets her cell phone and house keys at Grandma's. Later, after dark, at the urging of her boyfriend Mitchell, who has been unable to reach her on her cell and is forced to call the house phone - Jennilee realizes she must have left the phone and keys at Grandma's and walks up alone in the night to retrieve them. Aunt Judy's house is at the other end of the compound, but Lou's trailer is not far away. Still, this is little comfort when the night beckons to her with a chill wind. Finally, she makes it to Grandma's house. It is October 30th. The house is exactly like it was when we last saw it, only darker. Jennilee turns on a light in the back porch area, then walks over to kitchen. She turns on a light there, but it immediately flashes out in a bulb burnout, scaring her again. She walks over to the door leading into the living room. The small lamp is still on, throwing a light around the room that can only be called feeble when compared to the darkness surrounding it. Jennilee walks into the room and over to the table where she left her phone and keys. She scoops up the phone, but the keys are nowhere to be found. She looks all around the table, but cannot find them. While thinking about the problem, Jennilee notices a picture of Aunt Judy in a frame nearby. Aunt Judy? Would she have come up here? my keys and leave my phone here? d heads back through the kitchen and onto the back porch. Once there she pauses, lost in thought. Suddenly she perks up at something she sees outside. Across the back yard, Lou’s trailer is visible in the illumination from the security light in between the two dwellings. 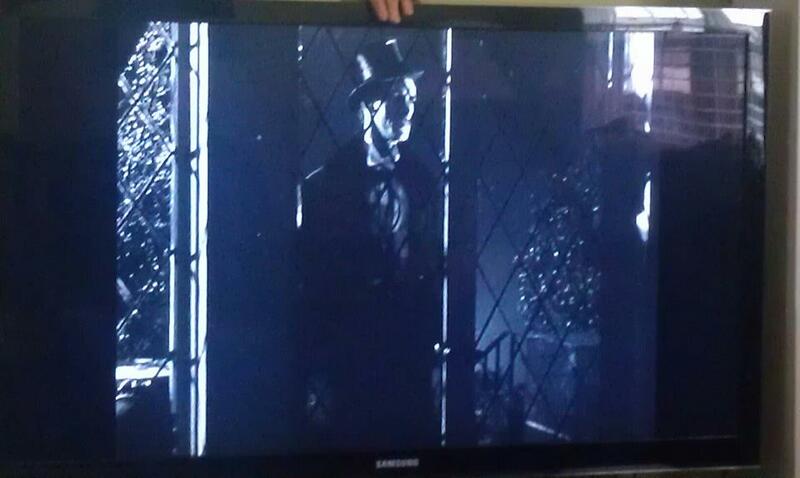 A tall, dark figure with a very pale face walks the length of the trailer, headed for the front door. She whips the back door open as the figure across the way mounts the steps to the trailer. The figure pauses on the steps for a split second, then steps on into the trailer. A confused Jennilee walks forward, then makes a decision and strides resolutely towards the trailer. She reaches the door and knocks. She waits a moment, then pulls the front door open. No answer. She steps cautiously inside. A small touch lamp burns in the corner in front of her on the lowest setting, casting a dim glow over the living room. Jennilee looks into the bedroom on her right. From the glow of the secruity light outside she can see it is stacked with boxes that fill the room and cover the twin bed and dresser. No room for anyone in there. Jennilee turns and looks into the small kitchen and dining area. The light from the touch lamp barely reaches the far wall. Jennilee walks past the kitchen area and peers into the small hallway leading to the bathroom and Lou’s bedroom in back. Still no answer. Jennilee walks into the hallway, passing the back door, which is closed. Working through the narrow hallway, she casts a quick glance at the darkened bathroom, but sees nothing in the gloom filling the tiny space. That only leaves the bedroom before her. Jennilee steels her resolve, very nervous now. Why won’t Lou answer her? 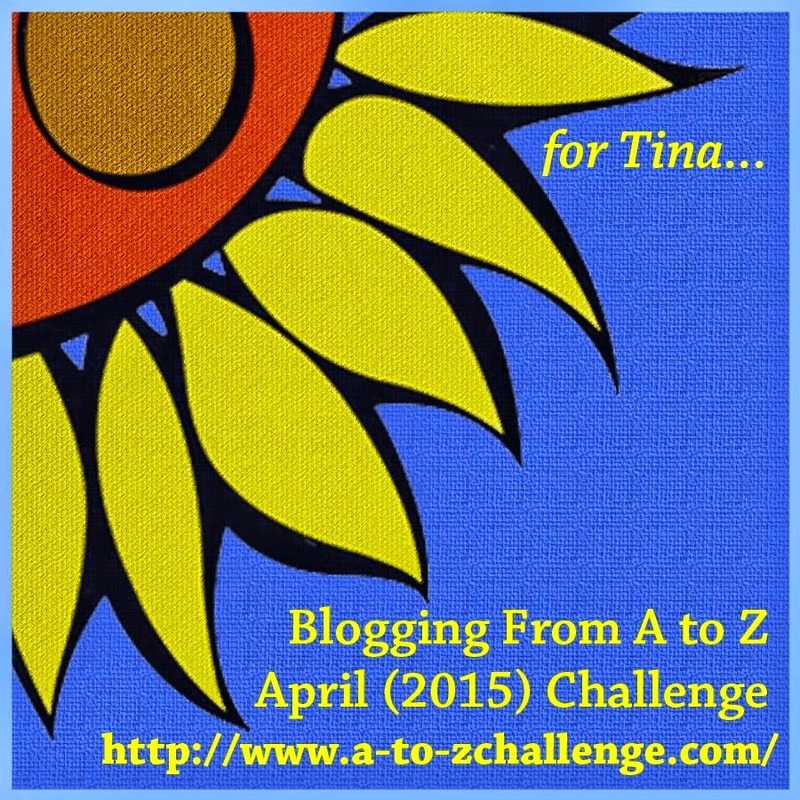 She walks into the frame of the doorway and reaches for the light switch. She flicks it on, the instantly squints as her eyes try to adjust to the light. But even with her eyes squinched she can see the room is empty. The bedroom is rather spartan, just a double bed and two dressers. Jennilee is boggled. Where the hell could Lou have gone? As she stands in the bedroom doorway, behind her, a vague Shape passes silently out of the bathroom and through the back door. Jennilee turns, trying to figure out the mystery, She gets even with the back door before she realizes it is open! She looks at it in amazement, then steps out onto the back deck. The back yard to the trailer is shrouded in darkness. As Jennilee looks around for some sign of her father’s friend, another chill wind blows up, making her clutch her jacket tighter. Finally, she turns and walks back through the door, casting one last look at the back yard as she pulls the door closed. Jennilee is at the front door, and stands in the doorway, overwhelmed by the darkness and shadows she must pass through to get back to her house. Finally, she just goes, rushing out of Lou’s trailer. She gives the door a push, not caring if it closes or not. 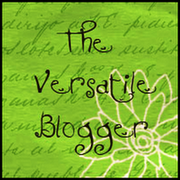 She dashes across the lawn between her trailer and Grandma’s house keeping a sharp eye out on all sides. She steers around Grandma’s house and carport and all of the hiding places they hold, and trots to the hill leading down to her house. She nearly stumbles going down the hill, but stays on her feet and now flat out runs for the back porch. Reaching the door, she maneuvers through it in the fastest possible time. Jennilee slams the back door shut. She takes a deep breath, and leans against the door, trying to cast off the fear that brought her here running. We haven’t seen into the house at all. Jennilee turns, and there is a moment of absolute certainty that Michael Myers will be standing behind her. Jennilee walks into the kitchen, then remembers something and marches back to the back door, which she pointedly locks. Feeling somewhat safer, she walks on into the house. But that door was unlocked the whole time. Anybody could have come through that door before Jennilee returned. And what did happen to her keys? A short time later, all of the lights in the house are off except for the one in Jennilee’s bedroom. A shadow passes the window, then this light goes off too. The darkened house settles down as the midnight hour begins. It is now October 31st. Halloween. That's about 8-10 pages of the script, roughly 10-15% of the whole magilla. If you have something in 8 figures lying around that you're not using, we could try to get Dimension to release the rights to us, or get them to co-produce with us - your name will look good above the title with a "Presents" under it! Until next post - on The Day Itself - you Can Poke Me With A Fork, Cause I Am Outta Here! 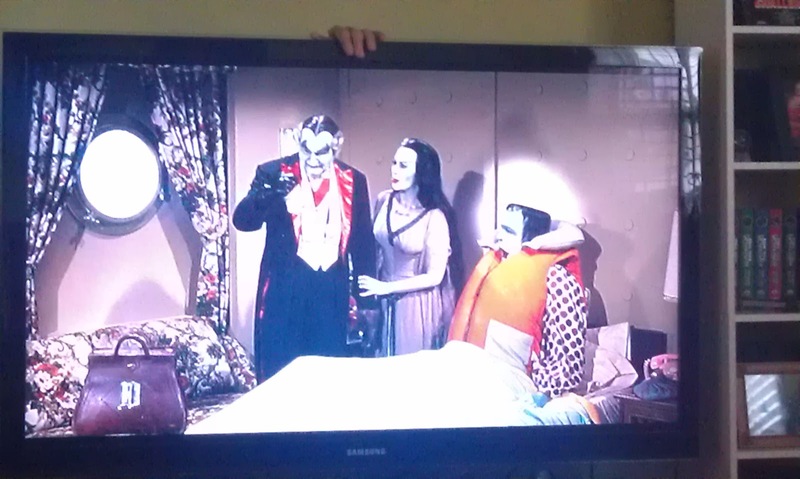 I adore this loving homage to the old Universal Studios Monster Movies! The monsters are all the classics, and mostly all with fun new designs that build well on the old looks courtesy Stan Winston and crew, and co-writer/director Fred Dekker takes them through their paces in high style as young monster fans do battle with the legendary creatures to save the world. If you've never seen it I definitely recommend it - be aware, however, there's some pretty salty language thrown about, as I discovered not too long ago showing it to two young monster fans after having not seen it for many years. LGOOH Halloween Blogfest Blowout Extras! And for this one, we're going to stick right to the Monster Squad theme. 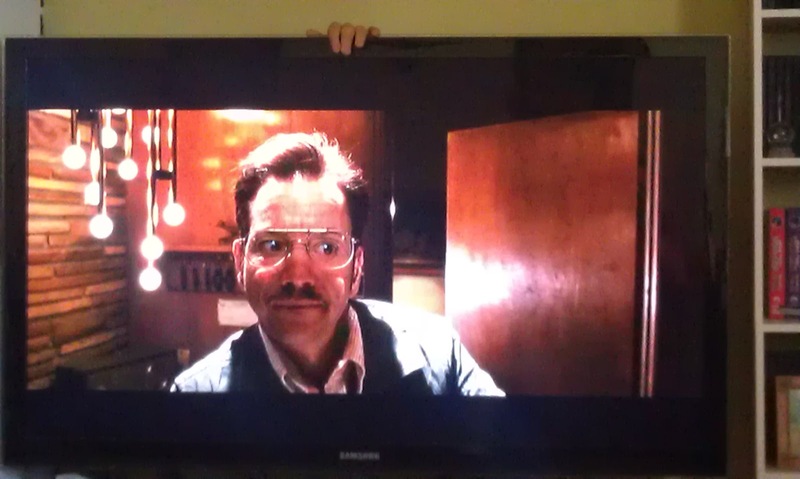 Once again the internet brings us the work of some clever filmmakers. What if, 18 years after the original movie, there was a completely unnecessary sequel to The Monster Squad? 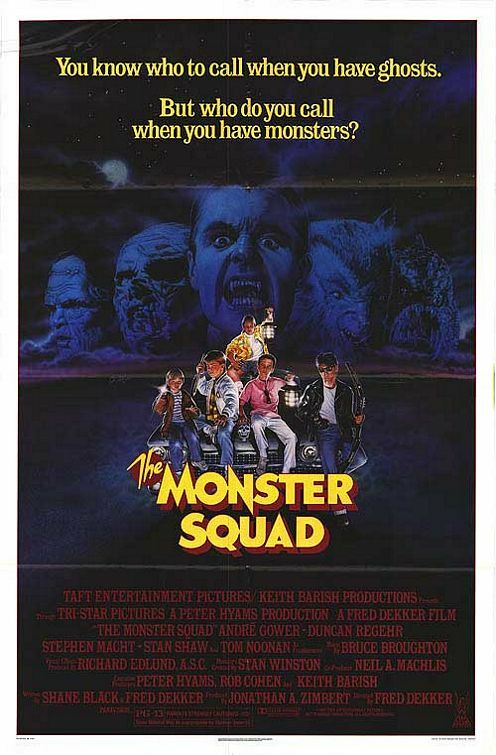 And to wrap up, let's take a look at the original version of The Monster Squad. 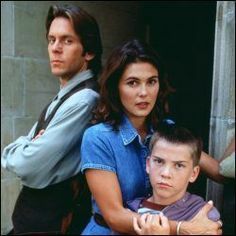 About 10 years before the movie, there was a Saturday morning Monster Squad series on NBC. Wait until you see who starred in it! 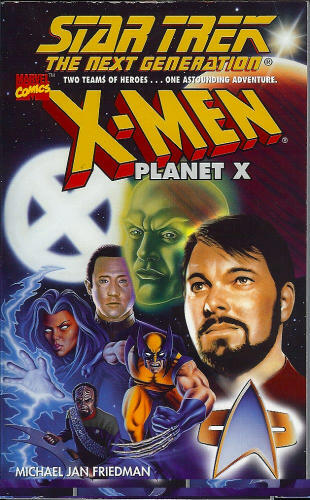 It only ran for 13 episodes, but I watched it pretty faithfully through several rounds of repeats when it was on. Here's the opening, the last few minutes of an episode, and the closing, all in one compact video. So there you go! All the Monster Squads you could possibly want! Until next post, you Can Poke Me With A Fork, Cause I Am Outta Here! If he's enjoyed being the centerpiece of this blog, then today is Jason's unlucky day, because we're going to wrap this one up with this final post about the long running movie series. 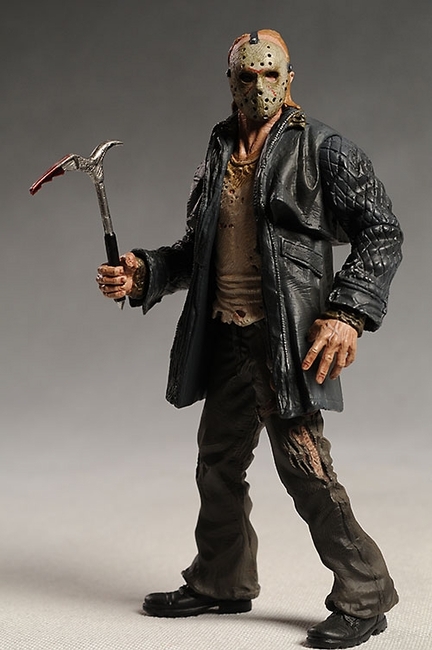 Okay, at the end of Part 8, Jason - chasing a couple of die hards in the sewers of New York City - has been washed away by those well-known pre-scheduled toxic waste flushes that the city has every night. So, my movie picks up a short time later. After a precredits montage of moments from the series culminating in that silly sewer demise - which I refused to ignore - picking up the gauntlet like the writers of the later Universal Studios Monster movies would - I don't care how crazy the previous movie's demise, I will find a way to pick up the story right there and move forward. 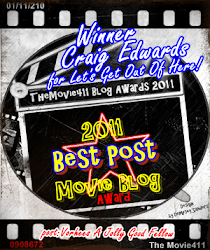 Time for some generic pix to disguise my wordy movie pitch! ﻿ Credits. 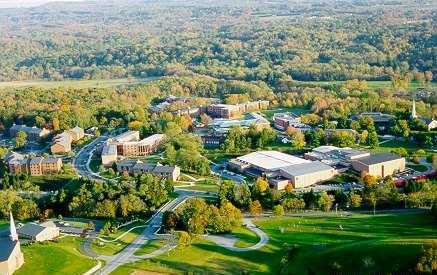 Now, a small group of college students from a rural college in New York State. They're on a field trip for their Biology class. 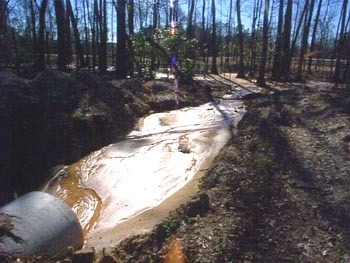 It turns out they are tromping around right where the toxic waste flush dumps out of the sewer system. (Yeah, I know. But we're talking about a movie where a hulking goon who has already been killed 57 times is about to get back up and start turning teens into hamburger. Go with it.) The class finds a hideously mangled body. The professor, a Screen Weasel of the Highest Order, somehow knows this is the body of serial killer Jason Voorhees and tells the class they have to take the body back to the college so he can "contact the authorities" about it, but really he's planning to profit in some way. Back at the university, the professor forces the class to stay around for the weekend through some kind of deception. While they are off grumbling, he starts a preliminary examination of the body. He notices that the body is already in better shape than it was out in the woods, and that there is some kind of regeneration going on. By the way, this plot point that I came up with - someone in science discovering Jason's regenerative abilities and studying them - predates a similar plot in Jason X by about a decade. Nice, right? Well, of course, shortly after Jason gets up and takes off across the college campus. 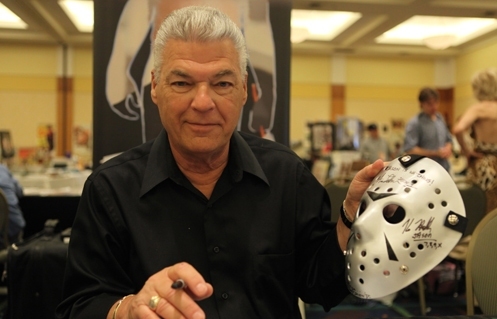 He breaks into the sports facility for a brand new hockey mask and a couple of other items, and spends the rest of the movie getting back to business as usual; namely killing off the cast one by one with a variety of implements. I feel now as I did then - a Ft13 movie lives and dies by its death scenes - I put the rest of my effort into coming up with several setpiece deaths using college implements. This is as far as I ever got with this whole script idea, by the way, so we're almost done with this side trip and we'll be back to the real movies shortly. Look! A computer, circa 1990! A student researching Jason on a computer - yes, I even invented the internet in my movie script from decades ago, just like I invented Photoshop in my script Roommates I wrote in 1986. But I digress. Anyhoo, the student finds articles that show Jason's history, including his supposed presence in the sewers of New York, revealing him to be the body they found out in the woods. As the student is about to go tell his classmates, Jason is suddenly standing behind his chair and shoves his face into the computer screen, wiping out the student and the information on the screen in a shower of sparks and some good zappy electricity sound effects. In a shadowy student center billiards room - a security guard finds a figure standing beside a pool table. The light, coming from a fixture over the table, cuts sharply across the figure, lighting up everything from mid-chest down, but keeping the head and shoulders in pitch blackness. 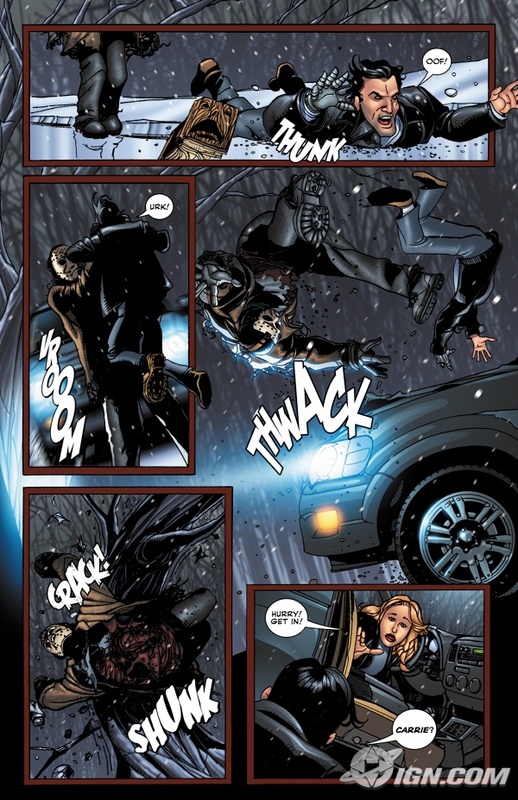 The guard challenges Jason. 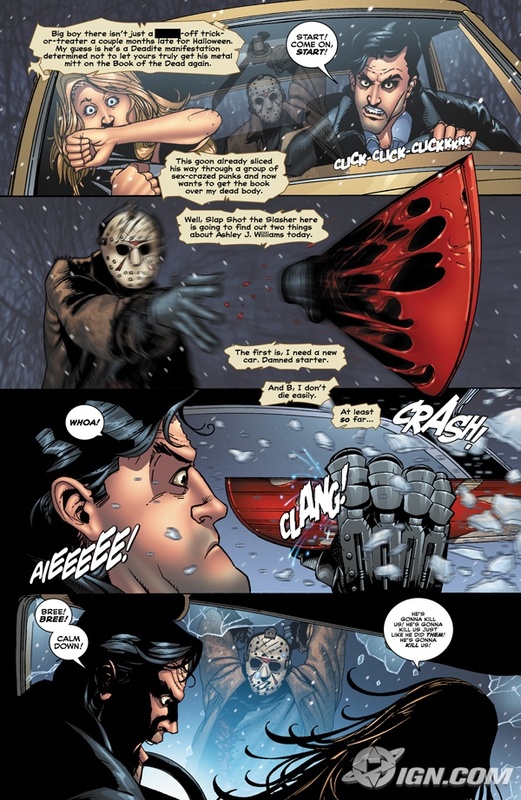 Jason suddenly reveals a pool cue in his hands, He bends quickly and reveals his hockey masked face in the cutting light as he draws back and slams the cue into the white cue ball, which shoots across the table, hitting the bumper and popping up, slamming deep into the forehead of the guard, who falls dead across the pool table. Jason tosses the cue stick down beside him and wanders off. A female jock practices pole vaulting. As she goes up we see from her moving point of view Jason suddenly standing beside the landing mat. 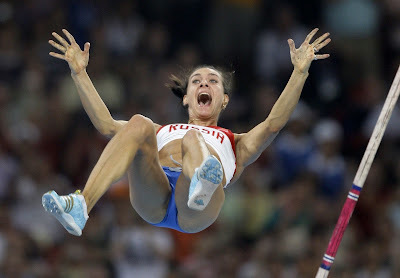 She can do nothing as she flips up and over the bar - and sees Jason yanking the mat away. The student can't get turned around and lands in a pile of bloody limbs with a wet snap sound. "No! Not the mat! AIIIEEE!!!!" 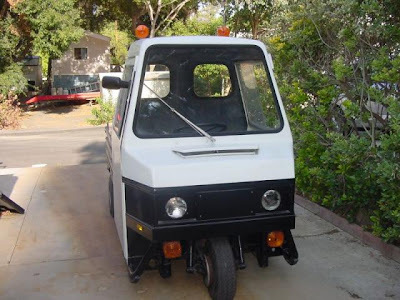 And finally, my piece de resistance - there was a maintenance and utility vehicle in use on my college campus, a kind of beefed up golf cart called a Cushman. Well, another security guard, now alerted to the presence of an intruder on the campus, is patrolling in a Cushman and sees Jason standing and looking up at a dorm from down the street. 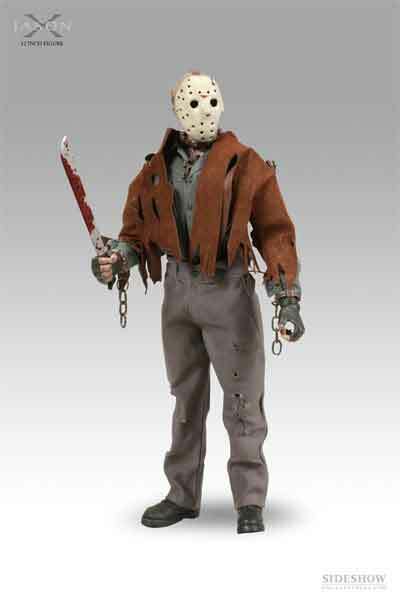 He guns the tiny engine and slams into Voorhees. 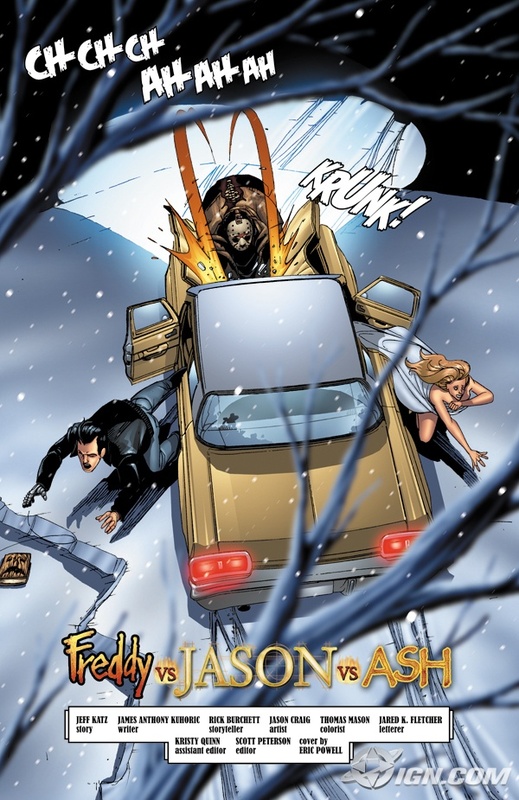 An unfazed Jason turns, picks up the Cushman and shakes the vehicle until the guard falls out onto the ground. Jason then slams the Cushman down onto him several times, beating him to death with the vehicle. This was my showstopper. That was as far as I got, unfortunately. A short time later the Ghoulies stole my thunder a bit with their third flick Ghoulies III: Ghoulies Go to College. I never ended up writing the whole script. I still think it was a pretty good idea, and it would have made a better movie than some that were still to come, quite frankly. But let's not get ahead of ourselves. 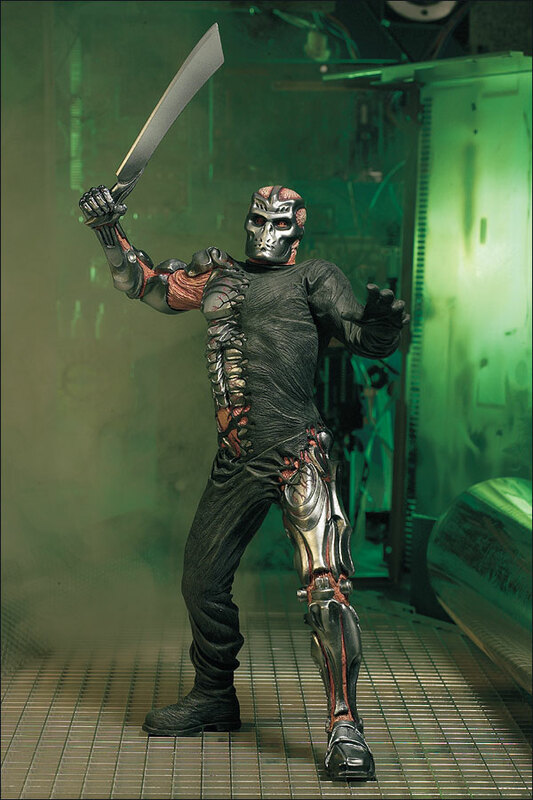 Back in the real world, and behind the scenes, Paramount wrangled around with New Line Cinema, finally selling the character of Jason Voorhees to the Studio that Freddy Built. 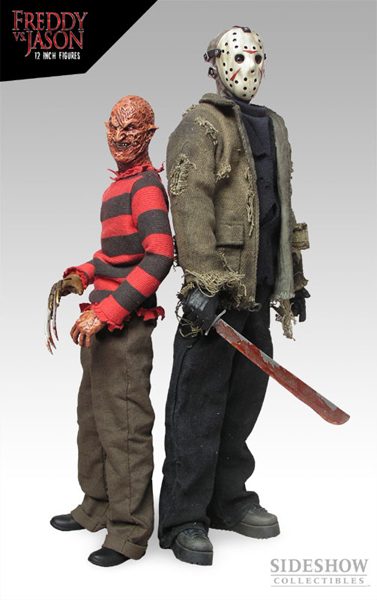 This allowed development to finally really begin on a movie pitting Jason against Freddy Krueger. 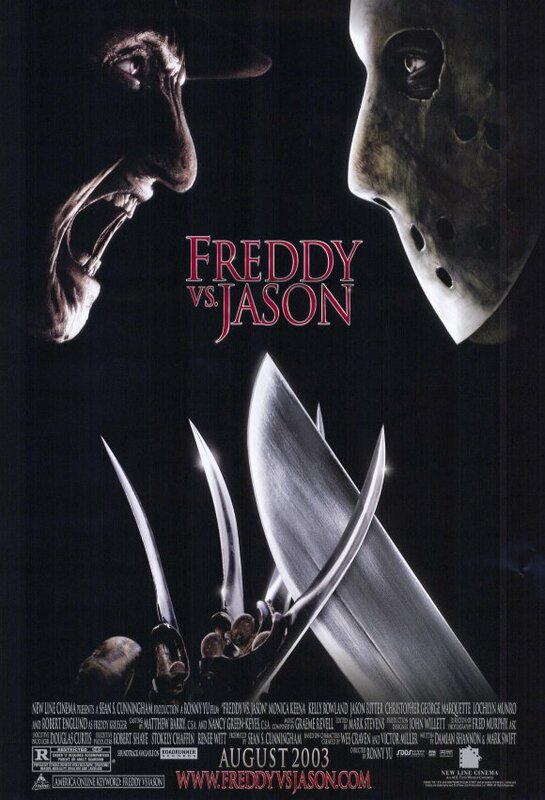 But before they could even really get up a head of steam, someone decided they needed to get some singular Jason and Freddy action out to theaters to bring the horror icons back to the forefront of what they believed to be notoriously short memoried movie audiences. So, Friday creator Sean Cunningham was contacted to get something going with Jason (but not a new Friday the 13th movie, as the franchise title remained Paramount's, even though they weren't planning to use it for anything new.) At the same time New Line honcho Robert Shaye was wheedling A Nightmare on Elm Street creator Wes Craven into writing and directing a new movie for Freddy as well. 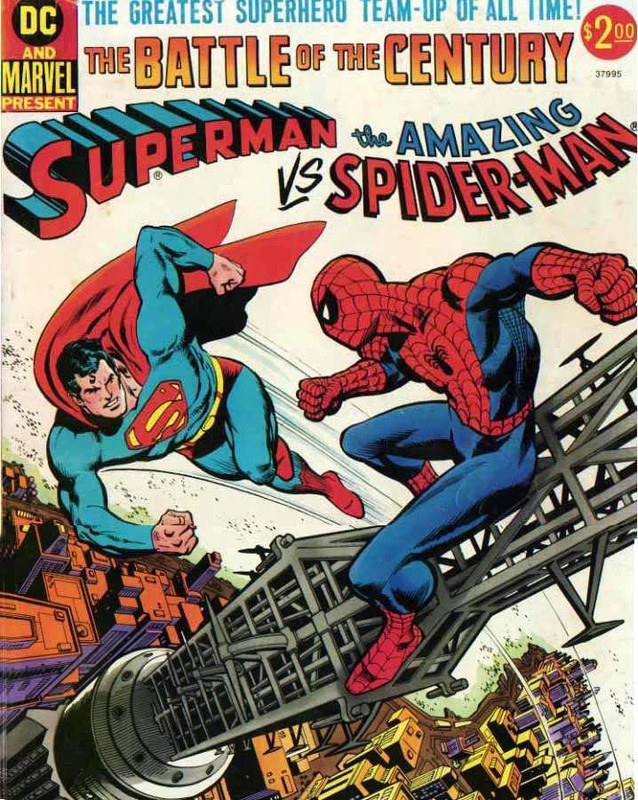 This plan put the actual "vs" movie on the back burner while these other two movies were sheperded through production. As it turned out, it would be simmering on that back burner for almost ten years. 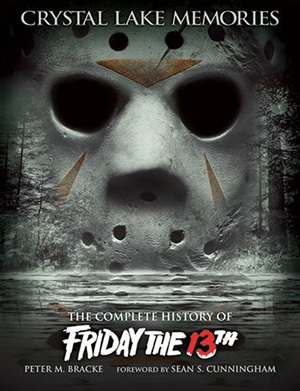 The story of how the series got back into production has been well told - particularly in the books Crystal Lake Memories by Peter Bracken and in Making Friday the 13th by David Grove. I've already blown this one up with my verbose movie pitch, so we'll just skip ahead. Suffice to say, they made another movie. It came out on August 15th, 1993, by far the longest span between movies. I saw JgtH:tFF at the Independence Mall Cinemas in Wilmington NC. I was alone, and for the first time in the series acting in a professional capacity - seeing the movie as Movie Reviewer (which I much preferred to Film Critic) for the local entertainment guide Encore Magazine. I couldn't find an actual picture of this ten-years-demolished theater - but here is an artist's rendering from the year before it was built - this is exactly what it ended up looking like, too. It felt good after so many years to sit down to a Jason movie. The opening was a very funny over-the-top setpiece, with the FBI (!) 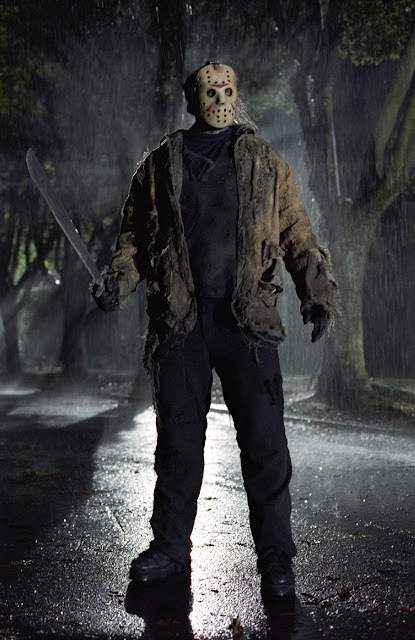 - out to bring down America's Most Notorious Serial Killer - coming after a now particularly squishy looking Jason with choppers and rocket launchers. Then they hit him with the rocket launchers. And as various and sundry Jason bits rain down on the forest, the movie promptly derailed. 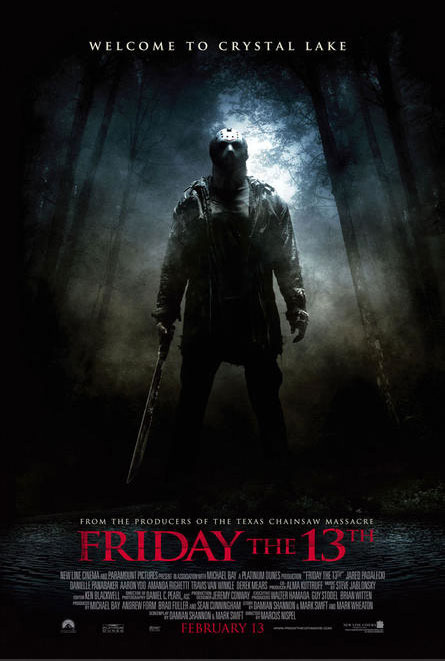 Having been given free rein by a not-particularly-caring-about-the-series-right-then Sean Cunningham, writer/director Adam Marcus for some reason decides at this late date in the series to mythologize ol' Jason - and ends up with a mess more convoluted than that Thorn in Michael Myers's side. Okay, as quickly as I can - during Jason's autopsy, the coroner (my old buddy Richard Gant) is suddenly compelled to eat Jason's foul, black, stinking heart. (?) This somehow transfers all of Jason's murderous Voorhees-ocity to the coroner, (??) who now becomes an unstoppable killing machine. (???) And most of the time, this is done in the new body, which is not bald, facially messed up, or sporting sports equipment on its head. When the body is used up - due to damage from authorities, or melting from within from trying to carrying Jason's fabulous essence inside a mere human shell - then it's only a matter of puking into a new body's mouth to transfer there and continue the quest. 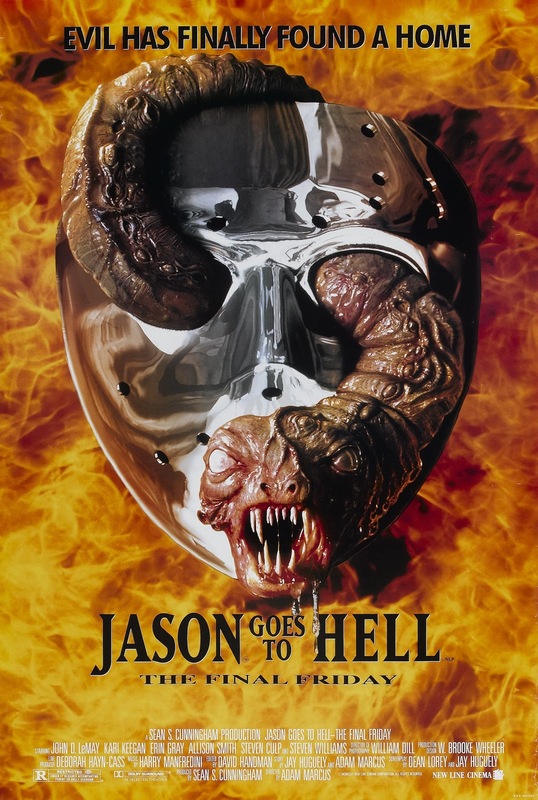 Apparently the filmmakers were moving forward with the idea that the toxic waste kind of melted the hockey mask to him, and some of his face has just plain slid off. 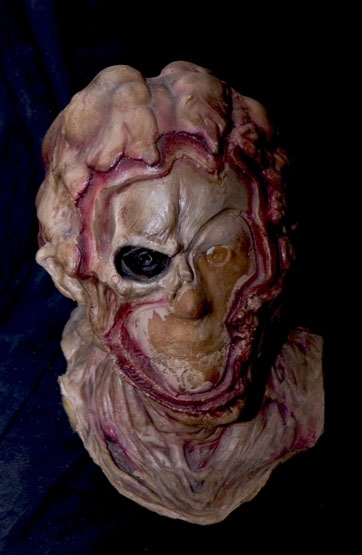 What would have been put on what appears to be the remaining open bits of Kane Hodder's face I'm not sure. Yes, but it does not come with a toy comb, obviously. It's the Necronomicon from The Evil Dead movies. Nice! Wow - with no knowledge of New Line's plans to put the terror titans together - that moment at the end of the film was a complete shock to me - and I have to admit I liked that moment - but still didn't like The Final Friday. I don't think many other people did either - though the movie has its defenders now - and the box office returns for this did not prompt New Line to get another in the pipeline right away. 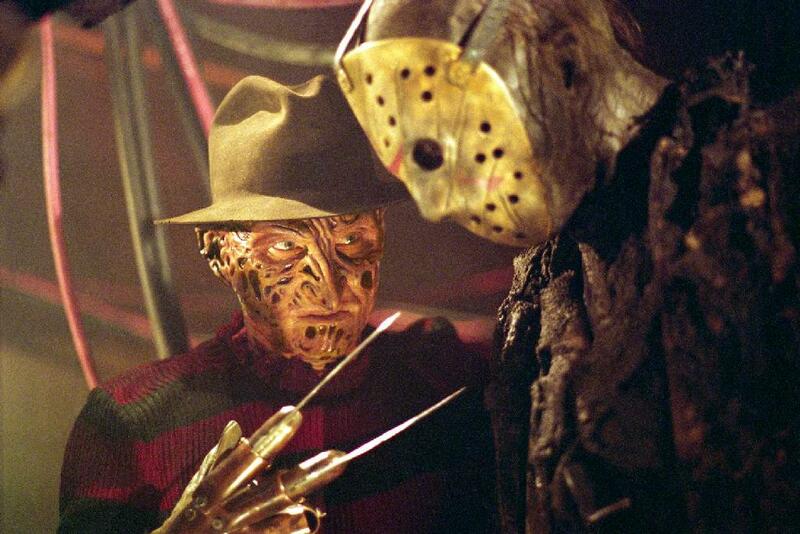 In fact, while New Line Cinema went to work feverishly on bringing Jason vs Freddy to the screen, the movie proved to be a tough nut to crack and the project slipped into development hell. Again, this post is already long, and there are other sources - such as those aforementioned books - that will tell you the whole story on those years in great and informative detail. For us, seven years went by. 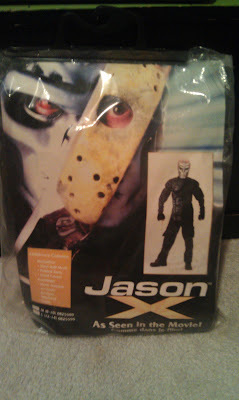 Then a new Jason movie was announced for release Halloween 2000. That didn't happen. A new release date in 2001 became several release dates in 2001, and they were all missed. I saw this one at the Carmike 8 theater in High Point, NC. It was wild to be sitting down to a Jason movie more than 20 years after the first - in a new century, in fact. 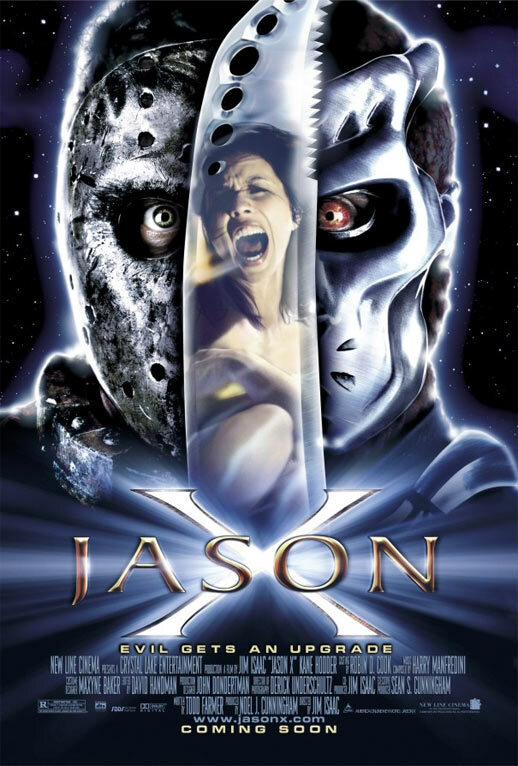 For the tenth movie they cleverly go with the title Jason X - with X of course the Roman numeral for ten. 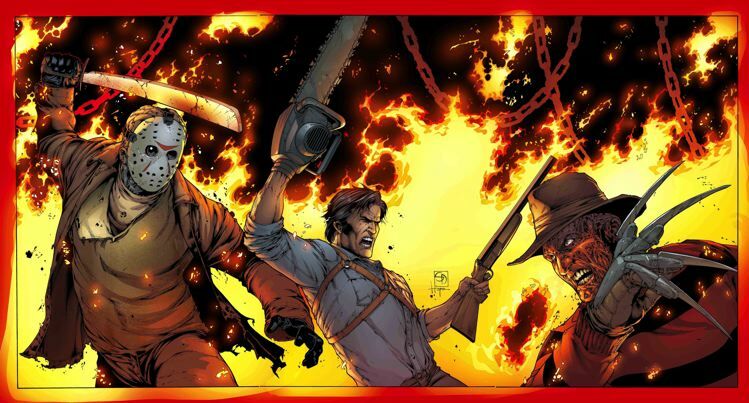 Ft13 creator and now producer again Sean Cunningham, a little more interested in the series, decides if New Line can't bring Jason and Freddy together, then he's going to farm out a new solitary Jason flick to another young filmmaker. 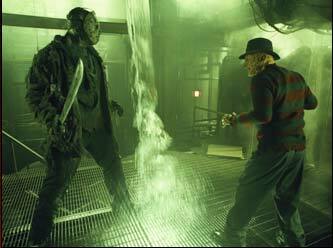 This time director James Isaacs is handed the reins; however, Cunningham doesn't want to impede the incredibly long battle to get the other movie made, so he tells Isaacs they must do something with the tenth film that will not in any way shape or form interfere with any possible Jason and Freddy story. The movie is set in the year 2455 (! 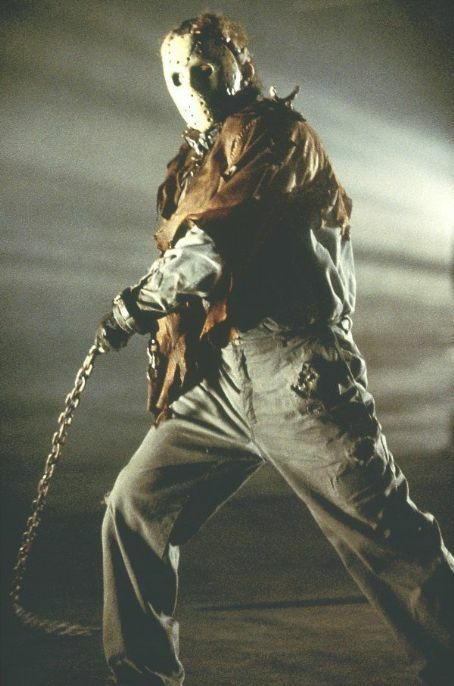 ), as a cryogenically frozen Jason and his final victim - the scientist who froze him and got frozen herself - are found by a team of space archaeologists searching the ruins of the Earth. How the cryogenic freeze occured is covered in the movie's opening minutes - but I'm trying to cut the word count on this post. So: the scientist finds herself awakened in her future on a spaceship heading away from Earth and back to their far-flung colony world. Jason's final attack should have killed her, but thanks to special medical nanites she's even been healed. The space archaeologists are intrigued by this woman out of time...and also that other flash frozen figure they found. The scientist immediately starts warning them about the dangers of keeping even a flash frozen Jason around - no one listens - there is a thawing out - and soon the spaceship finds itself more a slaughtership as Mr. Voorhees finds all new ways to mash people into hamburger. Ain't technology grand? As incredibly silly as this was, I had a good time with it. This is the kind of thinking-out-of-the-box plot development I can enjoy: don't add mythology; don't change the character; just move them to a crazy new location - and time, in this case - and get back to business as usual. 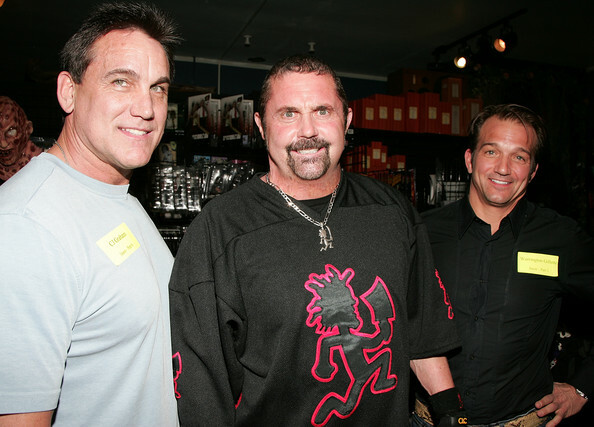 Kane Hodder comes back again, scoring his fourth and final appearance as Jason, and he's still a great hockey masked goon, let me tell you! You betcha, one for each incarnation in the flick! 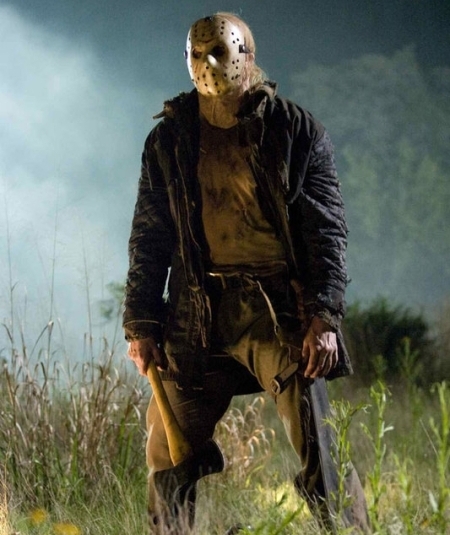 How about an Uber Jason Halloween costume for an 8-10 year old? Yeah, they shouldn't be watching the movie, but dressing like the multiple murderer who stars? Great idea! I have been through this movie a few times, and it grows on me a little more with each subsequent viewing. 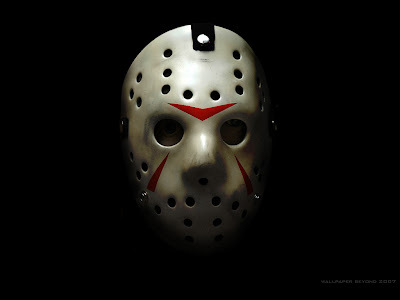 So, I was ready for more Jason movies - and would have been fine had they been Uber Jason flicks. But that's not what New Line gave me. So to finally have a movie that brings together two of the horror titans of the 80's - from series I had not missed a frame of - and lets them duke it out - oh yeah. I was so there. 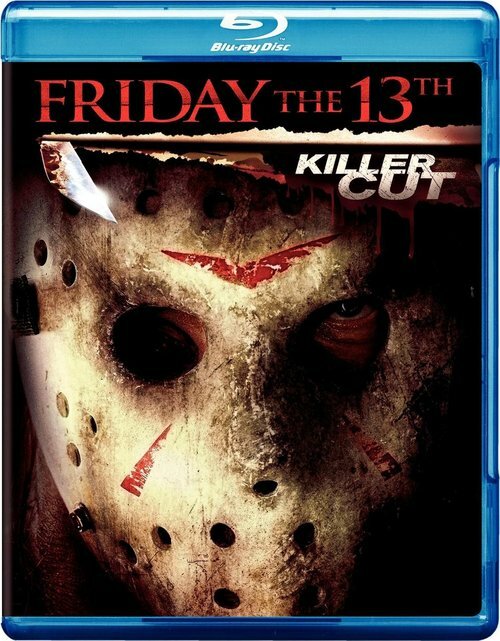 I had a bang-up time with this flick - which did almost everything right in bringing these characters together: there's a plausible reason for Freddy to drag Jason over to his side of things; and a plausible reason for Freddy's plan to go awry and for the two monsters to get a hankering to do harm to each other. 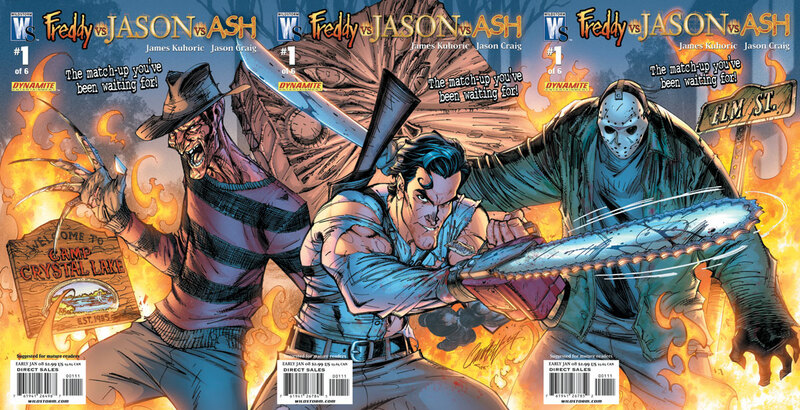 They then cleverly let the battle take place in two rounds - with the first in Freddy's dream world, where he is the champ, and the second in the real world at Camp Crystal Lake, where Jason rules the roost. The writers do fear the audience will not be able to follow their admittedly slightly complicated plotline, so they do have the characters hash out the plot verbally three times in full, which is two too many; but that is a quibble in a movie that finally settles one of the eternal questions kids on playgrounds have been asking for decades - who would win in a fight: (insert fictional character name) or (insert other fictional character name)? It even settles the matter with a victor - although some will tell you it leaves the finale up in the air. But remakes/reboots aside, only one of these two movie maniacs has a sequel whose storyline takes place after the events in this one, even though the movie was made before this one. Pretty clever, right? 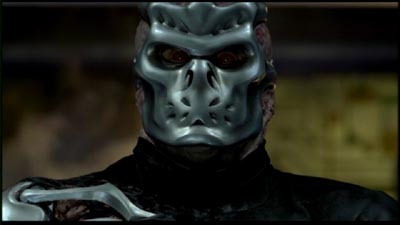 For this outing, and apparently for a variety of reasons ranging from height and weight to his alleged propensity to argue with directors, 6'2'' Kane Hodder finished his hockey mask run in Jason X. 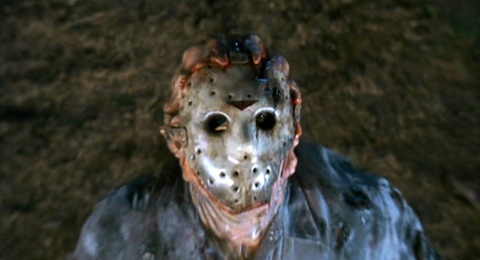 6'5'' Ken Kirzinger takes over here, and he is a massive and very effective Jason Voorhees. Oh yeah, with double the fun thanks to the added Freddy figures that came with the various incarnations. 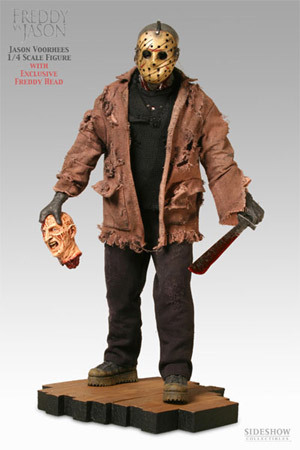 If you want the Big Guy by himself - albeit with "exclusive Freddy head" in hand - you can get that too. Here are the three variant covers for one of the comic book miniseries that went where Hollywood couldn't. This is the more stylized "cartoony" version. Here's the same deal - three covers put together - but done in a more "realistic" style. 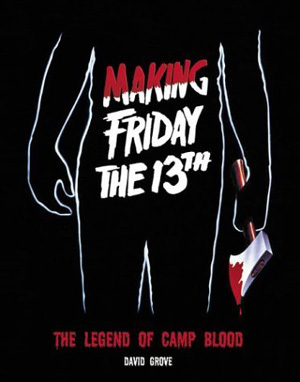 One note here - until recently, I always vocalized Harry Manfredini's cool Friday the 13th theme much like the title page up there - as "Ch-Ch-Ch-Ha-Ha-Ha!" 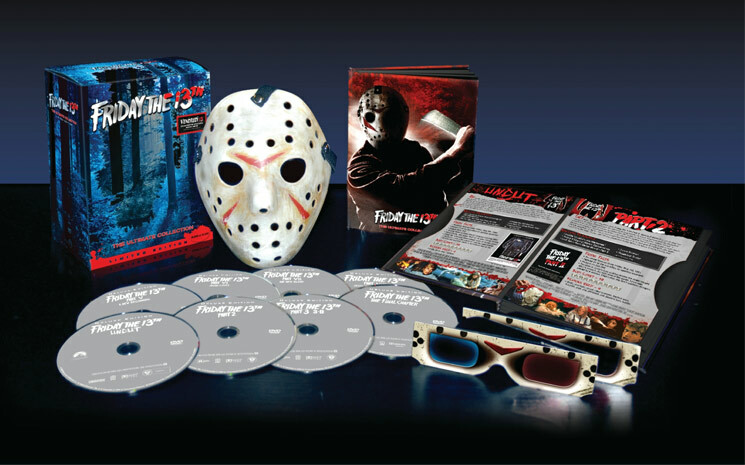 It was only after hearing Mr. Manfredini on one DVD special feature or another indicate that the theme is supposed to be Ki-Ki-Ki-Ma-Ma-Ma because it's supposed to be a stylized sound approximating Kill-Kill-Kill-Ma-Ma-Ma which is what he supposed Pamela Voorhees was hearing in her looney looney head that I finally gave in, and in deference started putting it up his way in this blog post. In case you cared. With both movie series having now been rebooted, there's zero chance of going back to pick up this movie sequel thread now. Well, that's exactly what happened, though it took another several year gap before it finally came about. So I finally saw this in my living room several months after it was released to home video. But I did buy it as a used Blu-Ray from a closing video store - so I do own it and did see it in a pretty good presentation. I do love this teaser photo. That is some creepy stuff right there. I didn't hate the movie. It's not exactly my Friday the 13th, but then they didn't make it for me. It has some very cool moments, but overall was just okay. They pulled storylines and elements from the first four Ft13 movies though, so at times this plays a bit like an extended trailer for a new series of films. 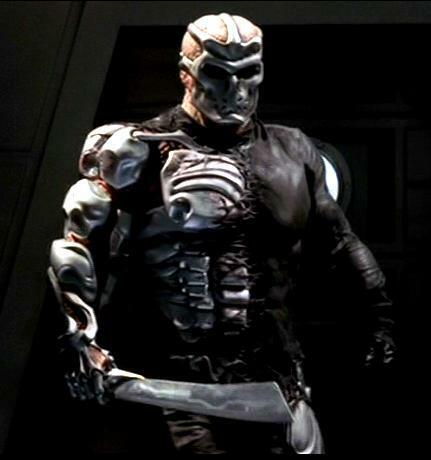 Derek Mears becomes the eleventh Jason Voorhees in this flick - and that's counting stunt guys and fake Jasons too - he's not the biggest Jason - but he's not small by any means - and he gets to be a wee bit craftier, a fair amount meaner, and a whole lot faster than the last few JVs. Points off, though, for no long loving closeups at what was lurking under this hockey mask. But that doesn't mean we won't take a look - so they did a full makeup on him - but in the end the film really never shows it for some reason. 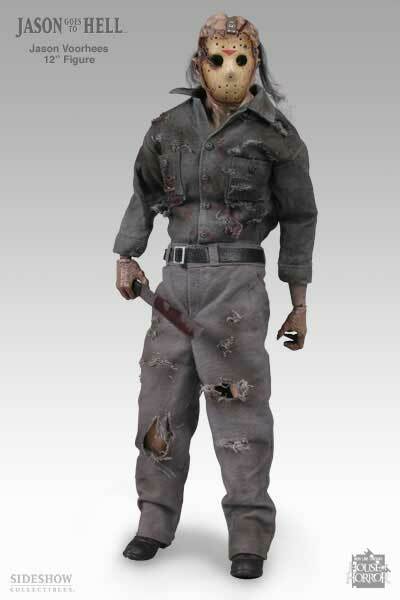 Indeed, our current reigning Jason is well represented in plastic. And that turned out to be that. The movie made money, but once again, for some reason no one rushed a sequel into the pipeline, so the reboot ended up giving the series the boot. For now, anyway. The original series lives on, released on DVD four times - bare bones editions (thanks, Paramount! ); a box set of the first 8 with some special features; ultimate editions of the first 8 with more and different special features, and just recently a new set that collects those ultimate editions into one box with prop hockey mask. Thankfully I only went for the middle two. And there is still a clear dividing line between the first 8 movies as made by Paramount, and the last four as made by New Line Cinema. I'm not sure if one or the other will ever sell theirs to the other company for one big massive megaset - but it'll probably happen one day and I'll probably end up getting that one too. you can get the whole shmear for around $40. 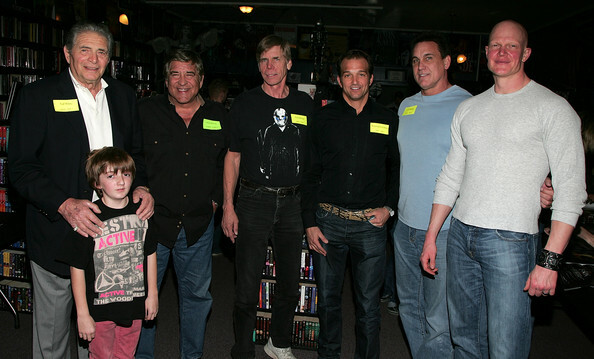 from Friday the 13th Part 3 have a reunion. 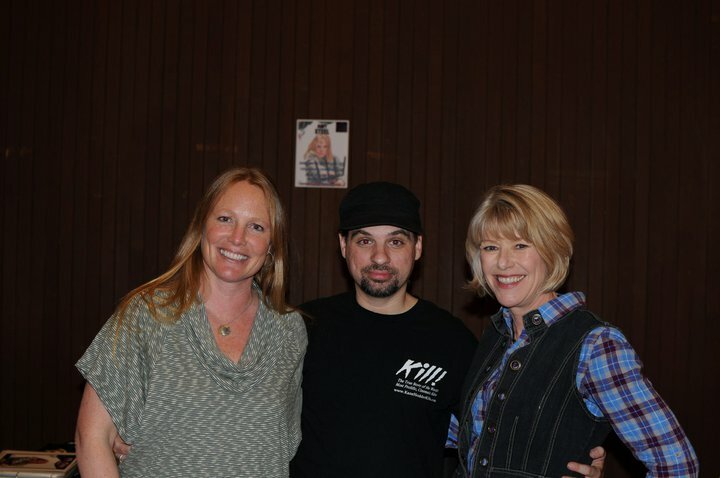 One lucky fan gets to be flanked by Friday beauties Amy Steel (Ginny - Part 2) and Adrienne King (Alice - the original)! 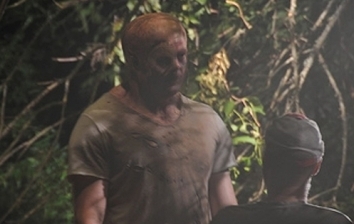 Warrington Gillette (Part 2), CJ Graham (Part 6) and Derek Mears (2009 remake). represent series chapters 2, 7, and 1 for another lucky fan. 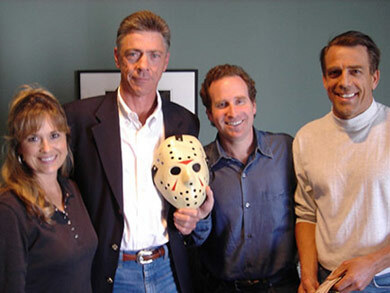 Steve Daskawicz - masked Jason from Part 2 holding something he never got to "sport"
creator Sean Cunningham and Freddy vs Jason director Ronny Yu. I love this movie series - even at its worst. I hope you've enjoyed taking a look back at it with me for the last three days - we're in the Halloween Homestretch now! Until next post, you Can Poke Me With A Fork, Cause I Am Outta Here!